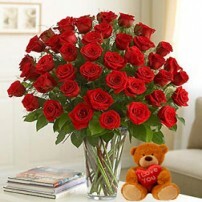 Imagine the overwhelming happiness she’ll feel when she receives this dazzling arrangement. 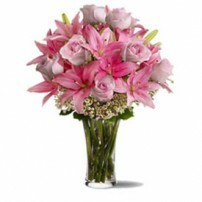 There’s no need to wait for a special occasion to send flowers. 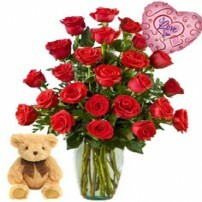 You can demonstrate your feelings with roses and brighten her day with colors and joy. 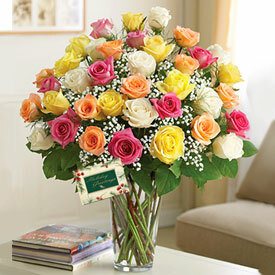 Arrangement with beautiful multicolored roses, presented in a clear glass vase with a pretty greeting card for free!